Corned beef brisket boil yesterday. Just finishing the clean up this morning. 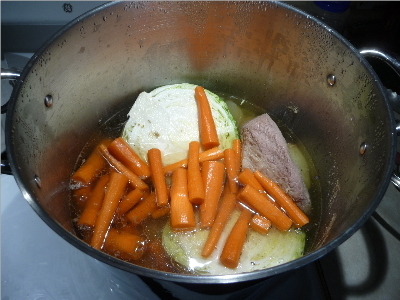 The corned beef is almost done. Eight pounds of corned beef is down there. Added 3 pounds carrots, three pounds potatoes, three onions, and one large cabbage. Brewing kettle doing double duty again. Everyone was hungry by the time the vegetables were done so no nice picture of a corned beef plate. Did take a picture of the leftovers this morning. I thought the three pound corned beef wouldn't be touched. Two light eaters and one dieter at the table changed their minds. 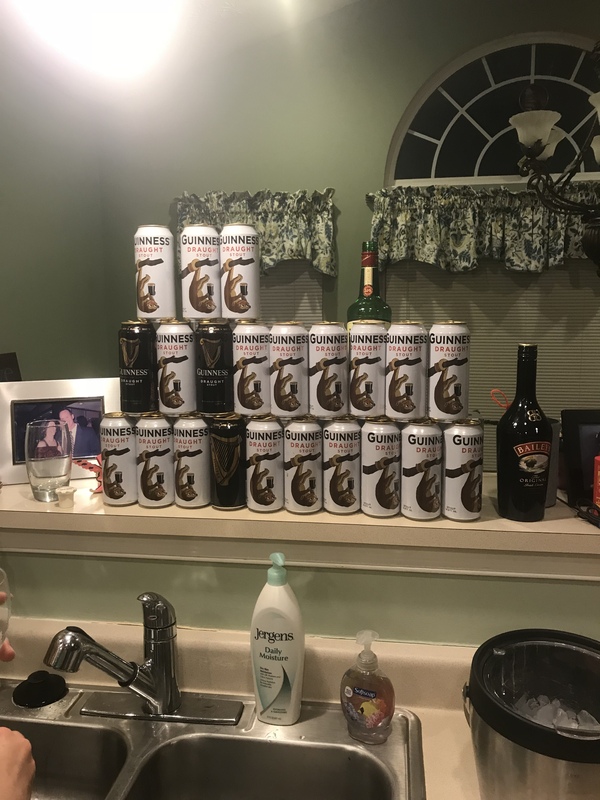 The Dead Ringer was the only beer on hand that could stand up to the corned beef with different varieties of mustard and horseradish sauce. 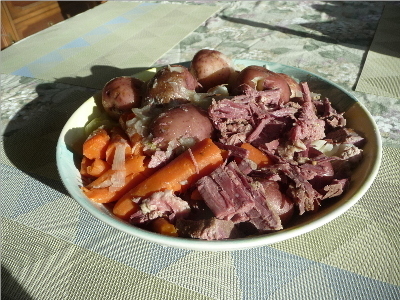 My wife and I cooked 3+ lbs of corned beef, plus carrots and potatoes. Ate <1/2 lb, because of the best thing about corned beef- making hash out of the leftovers! That's frying up on the stove in a deep cast iron fry pan. You can drag and drop from your PC files or select the "upload" symbol in the reply box to navigate to the storage space. I resize my photos to 400 pixels × 000 to shorten opening time on the forum. I made a big shepherd's pie. Half ground sirloin and half ground lamb. Probably my best shepherd's pie ever according to my middle son. I'll have left overs for a while.